Introducing the new Select Premier mini collection of three beds combining luxurious style with superior levels of comfort. Featuring the 1350 Premier Pocket, the 1800 Premier Pocket and the 2000 Premier Pocket, the range represents new levels of premium quality and design, specially tailored to help achieve a great night’s sleep. 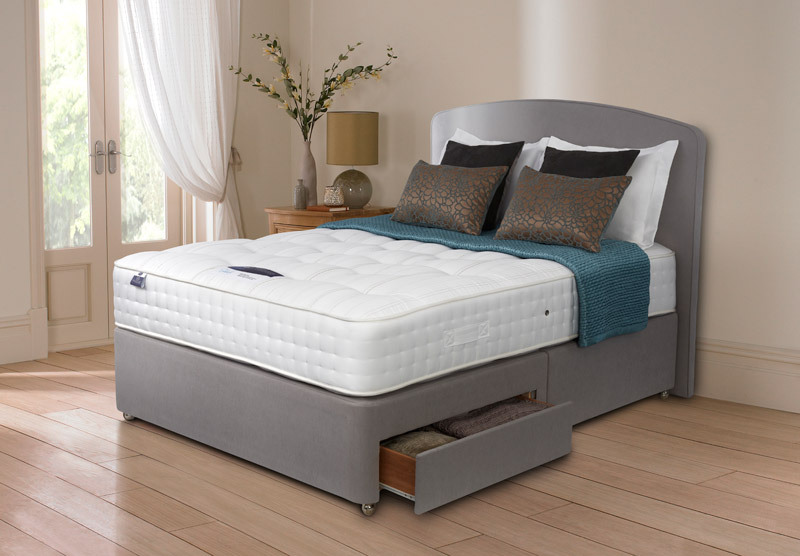 The beds also feature a Mirapocket® advanced pocket spring system for superior levels of comfort and exceptional support. Double layer 2000 Mirapocket advanced pocket spring system for a deeper, more luxurious mattress offering ultimate support. Natural Silk and cashmere wool comfort fillings and has handles and air vents for maximum airflow. I didn't originally planned to spend too much on my new bed, but my wife persuaded me and I thank her every day. Thank you very much for the great service. My performance is so much better than it was before, my boss has noticed it too and I was offered a better position. If I knew before that I only need to buy a better quality bed, I would invested much earlier, it's all paid off. Great communication.